This fantastic contemporary villa is situated close to the centre of Cap d’Antibes and its beautiful beaches. Panoramic sea views and a spectacular roof terrace are just a couple of the exceptional features to be found with this villa. 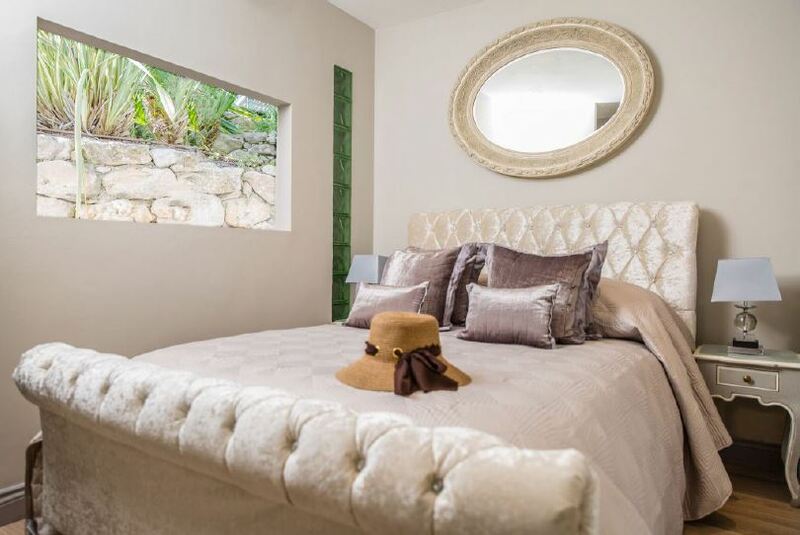 The property comprises of 6 stunning bedrooms, each individually decorated and finished to the highest standard. The large lounge areas are excellently decorated with neutral colours, decadent chandeliers and elegant mirrors. There is a 75″ HD LG TV for guests to enjoy with a complete Sky TV package. French doors open onto the pool area. The dining room can accommodate up to 8 guests and overlooks the swimming pool. An open plan modern kitchen features all the essential appliances including double American style fridges, a Nespresso machine and a wine cave. The roof terrace of the property boasts sensational views of the sea as well as outdoor dining facilities and evening entertainment areas to accommodate up to 14 people. The outdoor summer kitchen is fully equipped. The swimming pool features an electric cover for child protection and is surrounded by plenty of sun loungers as well as a summer kitchen for guests to use. There is also a Jacuzzi, sauna, pool room and a gym for all the relaxation needed. An additional staff house features a bedroom with 4 bunk beds, a bathroom and a kitchen.